Two Kissimmee police officers shot 1 dead, 1 fighting for life Friday night, according to Kissimmee Police Chief. The shooting happened in the area of Palmway and Cypress streets, police said. Post office employees will not go there. One of the officers was shot in the head at close range, the source said. The names of the officers have not been released, but sources said that both officers were young men who have worked for the police department for less than 10 years. Three people were taken into the custody as of 12:04am cst. A massive manhunt is underway for a fourth person.. The Orange County Sheriff’s Office said it is assisting law enforcement in Kissimmee. Police Chief says looks like an ambush situation. 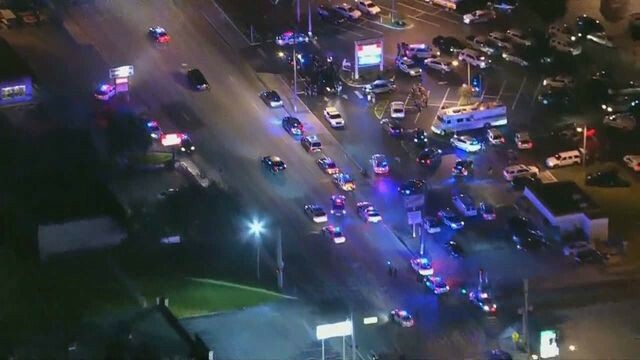 TBR: 4 cops shot in Florida 1 dead, another hanging on, 2 in Jacksonville in hospital recovering. 2 Others shot in Fairchance PA in good condition. We now wait to see if any are attacks encouraged by the BLM or Antifa..